"The fighter hesitated between competing or withdrawing, that's why he was nervous," Hatab told AFP. "Egyptian media pressure was huge on him before the bout. "People were waiting to see if would fight or not. We tried to relax him but we couldn't." The Egyptian IOC had told El Shehaby to fight "with a sporting spirit" and ignore the media pressure. "We said previously that he wouldn't withdraw but we let him decide. "Not shaking hands was his personal decision." International Judo Federation spokesman Nicolas Messner said fighters were not obliged to shake hands after a bout. "In the past, it is not sure that a fight between those two athletes would have taken place. This is already a big improvement that Arabic countries accept to be opposed to Israel," he said. "There is no obligation for shaking hands at the end of the fight, but it is compulsory to bow, that's why the Egyptian was called back to bow and he did. "Nevertheless, his attitude will be reviewed after the Games to see if any further action should be taken." The 32-year-old El Shehaby, a world championship medallist in 2010, had faced pressure on social media and from hardline Islamist groups in his homeland to withdraw from the fight. He refused to speak to journalists after his fight. 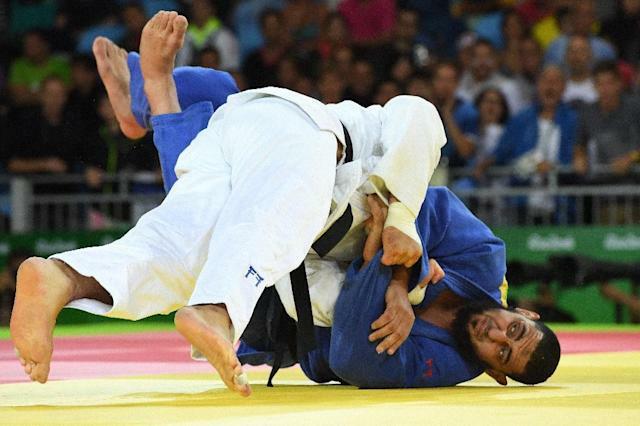 Unlike some other Muslim and Arab nations, Egypt has no history of withdrawing from judo bouts against Israelis. Sasson has faced another Egyptian, Ahmed Wahid, twice in the last year, each fighter winning once. The Egyptian Olympic Committee had insisted before the fight that El Shehaby would compete. On Sunday, Saudi Arabian Joud Fahmy withdrew from her 52kg first round bout against Christianne Legentil of Mauritius ahead of a possible second round clash with Gili Cohen of Israel. The Saudi Olympic Committee claimed she was injured. Most famously in the Olympic dojo, then-world champion Arash Miresmaeili pulled out of the competition after failing to make the 66kg weight limit after being drawn against Israeli Ehud Vaks in the first round. The Iranian delegation claimed he was ill and could not make the weight, although an inside source said he had failed the weight by more than 5kg -- an incredible amount. Back home in Iran he was feted for his personal "sacrifice" and award the same prize as gold medallists. Iran openly refuses to allow its citizens any contact with Israelis. Iranian Javad Mahjoub pulled out of a fight with Sasson at the Tashkent World Cup in 2011. 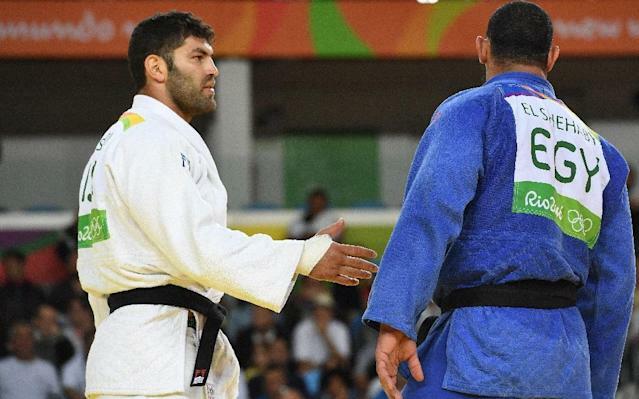 A year later Mahjoub also withdrew from the London Olympics with a "gut infection" before the draw was even made -- Israeli Ariel Ze'evi was one of the favourites for gold in his weight division, the under-100kg.